We focus on all the details you supply and run effective in-depth research on every case we do. Very high success rates and an abundance of happy clientele. Costs from £19+VAT for E-trace reports. 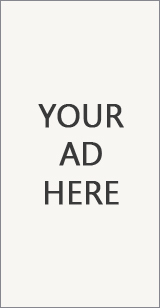 People tracing from £30, With In-depth research starting at only £99. Simple searches to to in-depth research, we have it covered! The firm is registered with the Information Commissioner’s Office under reference ZA258085 and so can be trusted to deal with clients in a regulated manner. Faustus specialises in due diligence, compliance, ABC, internal investigations enterprise risk management, data protection officer matters and GDPR auditing. Expertise: The in-depth investigation of company asset obfuscation and “follow the money” trailing. Pre-negotiation investigation of individual directors, shareholders and company worth. The analysis and mapping of financial discrepancies and company reliability. Fraud identification, investigation and recidivist behavior profiling. Using our online booking system below you can make a private lie detector test booking. Follow the simple instructions at each stage and let us know whether you would like the test at one of our studio/offices or residential. To proceed and confirm your booking we will require upfront payment of £150 (non refundable fee). 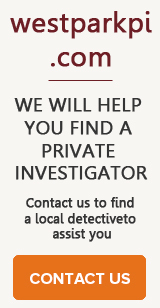 Private investigators and detectives covering Greater London and the rest of the UK. Providing surveillance, tracing of debtors/individuals, background reports, process serving. Research Associates was established in August 1977. Since then we have evolved into an approachable, highly professional intelligence, investigation and forensics agency with a reputation for resolving problems and delivering results. We are renowned for our focus and expertise. Decades of experience and serving commerce, executives and entrepreneurs – from private individuals to public sector organisations – make us a safe, legal choice for all intelligence requirements. Infidelity Detectives are a collection of private investigators and private detectives, based across the whole of the UK, offering specialist matrimonial and infidelity investigations. They cover the length and breath of the United Kingdom but local members are bound to be where you need them, keep their costs to a minimum so are able to offer you competitive rate for any investigation. In some areas there is no substitute for professionalism, skill and experience so when life has led you to find yourself considering hiring a private investigator or detective then there is your answer. 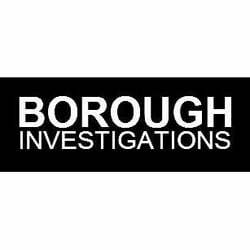 We are real experts within the field of missing persons, we have a long established track record or successfully completed investigations testament to our investigators skill and dedication. We deliver the very highest of standards, carry ourselves with a businesslike attitude, offer flexibility toward all our clients and we always aim for a fast response.